This authoritative easy-to-read handbook will provide the background, theory, guidance and practical tips that sustainability managers at airlines need in order to fulfill their roles successfully and build a competitive advantage. It will show how improving triple-bottom-line performance can ensure sustainable returns to shareholders in our rapidly changing world. As the name suggests, the Aviation Sustainability Primer Hand Book will essentially be a much-needed practical instruction manual for those new to the field. Sustainability is just good business, but do you know how to explain this to your colleagues? Aviation sustainability is an increasingly important topic yet few airline executives are formally educated in this field due to its reasonably recent emergence into commercial relevance. Additionally, airline management roles change regularly and any accrued corporate knowledge from actual experience in the field of sustainable aviation is easily, and often, lost. This is exacerbated by the fact that major aviation sustainability projects are often longer-term focused with timelines that outlast the average airline sustainability employee. To help overcome this persisting knowledge and capacity gap a definitive airline sustainability primer hand book covering the crucial topics in this niche field will be developed to help incoming airline executives to hit the ground running which will support their good decision making from the outset. Recognised current and retired aviation sustainability experts will be asked to contribute and work with the lead author to develop the content. The handbook will be updated annually to maintain cutting edge relevance. 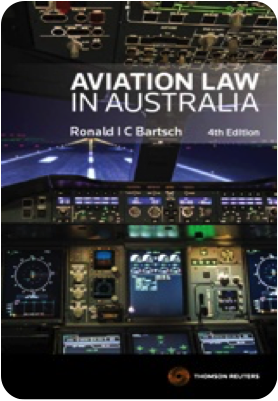 This project will emulate the structure and success of the definitive book on aviation law in Australia, coincidentally titled Aviation Law in Australia. The development process will be similar to that adopted to create this book, of which the Sustainable Sky founder has experience as a chapter co-author. Initially the Aviation Sustainability Primer Handbook product will be available free of charge to download or for a small printing and shipping fee. In the longer term, once its reputation as the go-to handbook is established, it will transition towards being available at a price point needed to ensure this project becomes self financing allowing it to continue into the long term. The handbook is also designed to become a university textbook of choice for air transport management lecturers and students around the world.